When Lucie Rie arrived in London in 1938, she was already an accomplished and award winning potter of international acclaim and a fierce supporter of modernist and minimalist design. Once settled, she soon started making her distinctive and fine pieces which were bowls, bottles and a few vase forms all of which were deceptively simple to look at, embellished with glazes that were intriguing in their metallic nature and occasionally bubbled textures. She rapidly acquired a following of loyal fans and collectors which ultimately included the Sainsburys, the Attenboroughs and of course, museums and galleries around the world. What Lucie Rie also started, other than the excitement of her forms, was a break away school of pottery that did not have a name initially but is now sometimes known as studio pottery. To understand this school, it is perhaps easier to look at the dominant school of pottery at the time which was based in traditional, functional ware that focused on established forms, the production of large numbers or sets of tableware, the use of a relatively fixed set of glazing techniques and recipes that were handed down through generations and often the use of local clay and outdoor firings in wood kilns and then to understand that studio pottery is the reverse of these values. 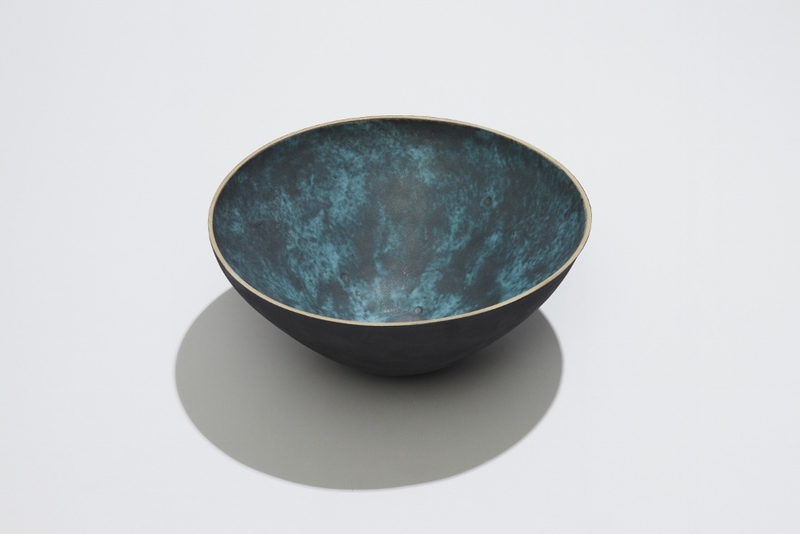 While they do not intend at all to ridicule or criticise these traditional approaches, studio potters do seek to develop their work along a different set of aesthetic principles. Studio pottery is now characterised by the production of forms which, in the words of Emmanuel Cooper, are domestic pieces which belong in the living room rather than in the kitchen. These forms are produced in limited quantities and rely on unusual glazes and production techniques which may either be innovative or be a revival of earlier of practices which have died out or have been considered outmoded. Urban pottery is urban pottery, pieces conceived, designed and produced by an individual for display and possibly for use. Unique and striking by design, urban pottery is something for Britain to be proud of, thanks to Lucie Rie and her ceramic legacy. As studio pottery has matured and developed over the years, it has also defined itself slightly more clearly into the following characteristics . Firstly studio pieces are not produced in large numbers; even tableware is produced to be one-off and not for mass production. Studio ware may be functional or decorative but it is usually striking in appearance and unique in form, marking it apart from mass produced ware. To arrive at this result, studio ware is usually produced by hand building or throwing although slip cast studio ware can be thrilling and equally unique. Studio pottery is a generic term for collectable pieces while urban pottery is perhaps more defined by its geographical roots of where the pieces are made. London is therefore a good place to look for excellent British studio pieces, either from the makers themselves or from the galleries and agents that represent the very best of our talent. The art and craft shows in London provide a focused look at the work of many makers from all over Britain, capturing the variety, skill and beauty of their work. Emmanuel Cooper put it best when he said that studio pottery did belong in the home but perhaps more in the living room than the kitchen.